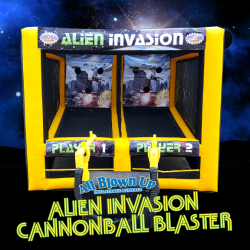 Alien Invasion Cannonball Blaster is one of our most popular games. 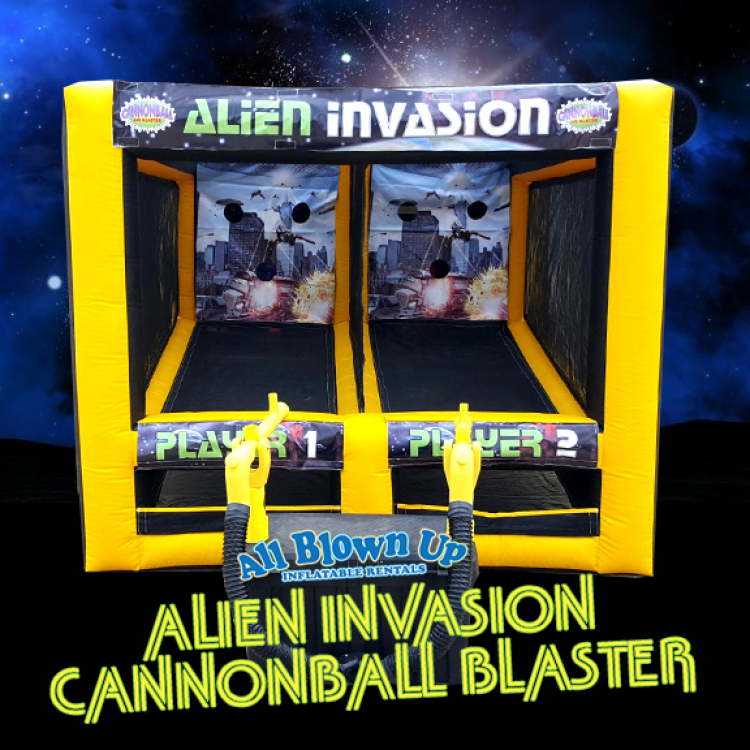 This awesome two-player game features air-powered blasters to shoot the aliens back into outer space! Adjust the distance to make it a challenge for guests of all ages!